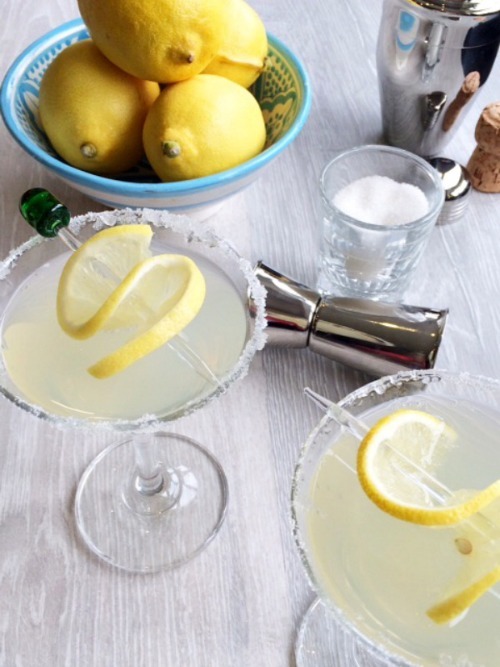 I am not a big drinker but when it comes to the holidays I love creating little drinks that I can enjoy that aren’t too strong and perfect for the holiday season. This one I made up by accident really. I was at a party with friends and everyone was drinking the famous orange juice and champagne (mimosas as we call them in the states). I have had a bad reaction to oranges in the past so I stay clear of them. 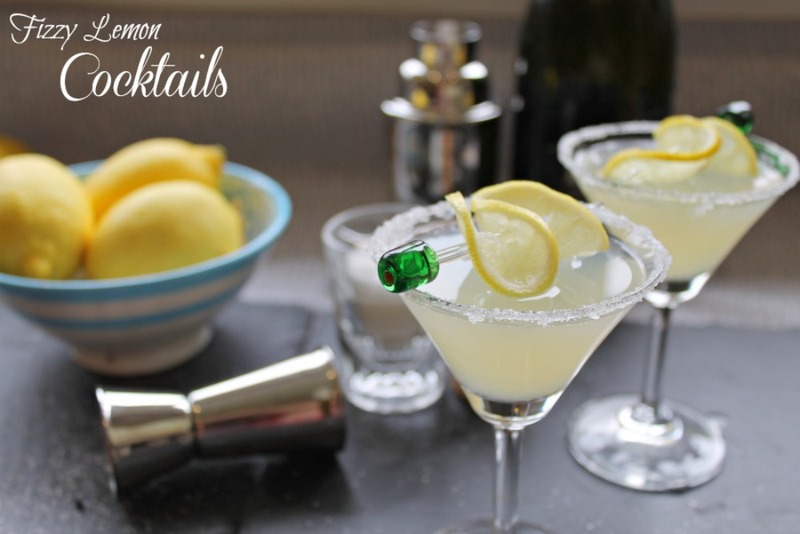 I really wanted to have something different and my friend had a bunch of lemons in her kitchen, so I cut one in half and added it to my champagne. 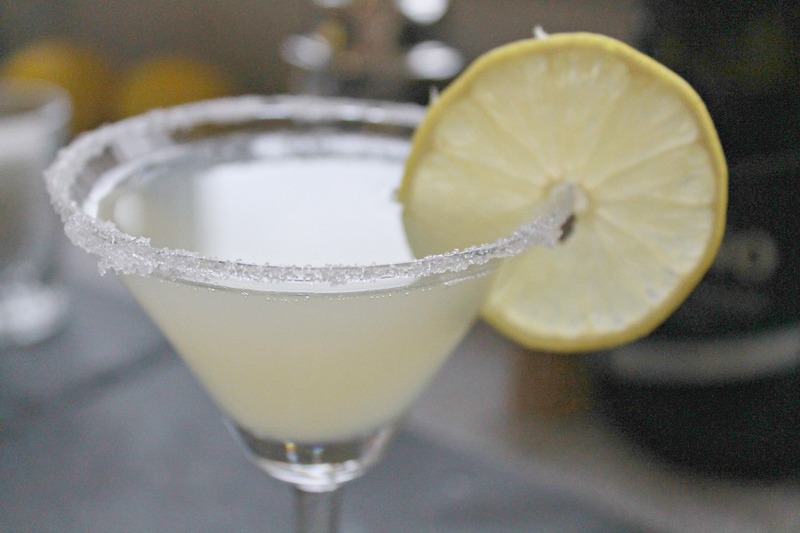 It has evolved a little over time and this has become my favorite combo for my yummy, Fizzy Lemon Cocktail Recipe. 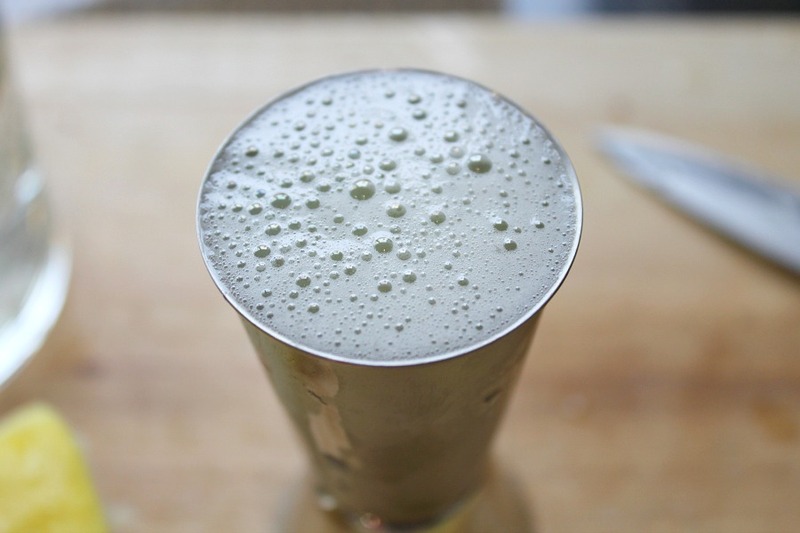 If you have never sugar coats a glass before it’s super easy. Take a wet sponge and wipe around the edge of the glass, gently so it stays wet not wiped. Immediately turn it upside down and place on a plate full of sugar and move it around a little bit. It will coat just the edges perfectly. 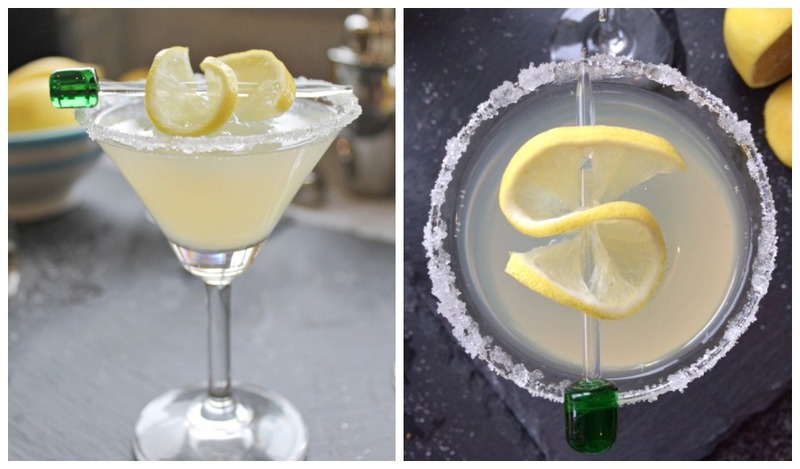 Depending on the drink you can do the same with salted rims too, especially for those margaritas. I squeeze my lemons straight into a shot glass, less mess and then I know when I have squeezed enough so less waste too. Below you can see I did a lemon twist on a mini skewer, gives it a glamorous feel to it. Sometimes I like to throw a raspberry at the bottom for a festive feel during Christmas time! 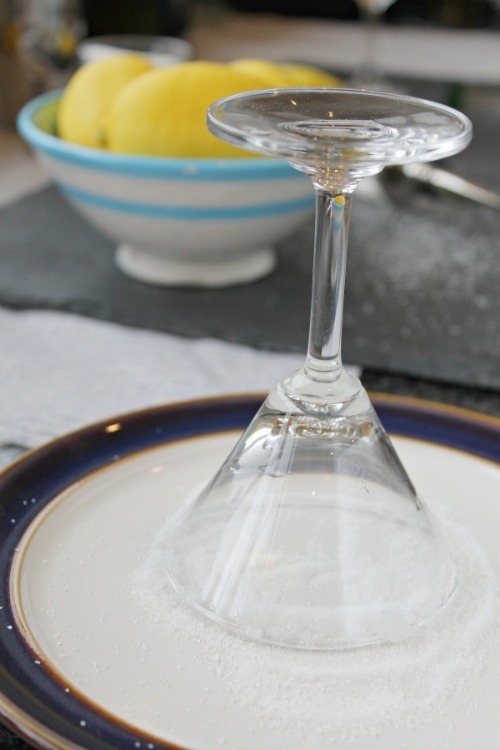 If you aren’t a fan of lemon twists or prefer your lemon on the side, just slice halfway through your lemon circle and slip on the edge of your glass. It really is a great drink to whip up at any special occasion. Having people over soon, try it out and let me know what you think. Tweet me a photo and I will be sure to share it too! Want to make them for festive for Christmas throw a raspberry or cherry at the bottom instead of your lemon twist! Thank you Vikki so much. I hope someday to photograph and style for a cooking magazine or cookbook. But have so much work and improvement to do before then. as it happens I have just popped a bottle of Prosecco in the fridge…I also have lemons, so I guess I might have to try this then! Oh !!! lucky you then!!! Coincidence lol enjoy. This looks fab and I will be trying it! Thank you. Let me know what you think.